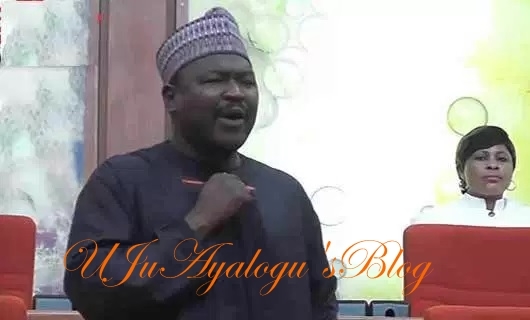 Senator Hamma Misau, who represents Bauchi Central Senatorial District in the Senate on Tuesday said he was ready to defend himself against the charges of making injurious falsehood against the Inspector-General of Police, Mr. Ibrahim Idris, and the Nigeria Police Force. Misau, through a statement signed by his lawyer, Godwin Obla (SAN), said he was charged because he called for the probe of the IGP over various allegations of unethical conduct and corrupt practices. But the lawyer did not say anything about the separate set of charges filed against the senator before the Federal High Court in Abuja. The statement read in part, “The morning of October 17, 2017, however resolved every unlikely doubt that could have inured in favour of the prosecution in this saga when on being briefed by the distinguished senator to represent him at the trial. “The distinguished senator, in line with our counsel, visited the registry of the High Court of the Federal Capital Territory, Abuja and magnanimously undertook to receive service of the copy of the charge, even though, the prosecution ought to bear that burden, but was shocked to the marrow that no one copy was left in the file of the court for service on the accused person corroborating thereby our earlier assertion of a strategic step at another gestapo operation in the offing. “Except for interests other than the ends of justice, underlying the pending charge of Senator Hamma Misau, we hereby call on the prosecution to play its prosecutorial cards face up, as we shall gladly love to meet them in court to articulate our robust defence against the obviously spurious allegations against the distinguished senator. The Office of the Attorney General of the Federation had on October 10 filed five counts marked FCT/HC/CR/345/2017, before the FCT High Court in Abuja, accusing Misau, a retired Deputy Superintendent of Police, five counts of making “injurious falsehood” of corruption and unethical practices against the IGP and the Nigeria Police Force in the media. Part of the allegations by Misau considered injurious to the IGP and the Nigeria Police Force were police officers allegedly paid as much as N2.5m to get special promotion and posting through the Police Service Commission and that the IGP allegedly diverted money meant for the purchase of Armoured Personnel Carriers, Sport Utility Vehicles or other exotic cars. Misau was also said to have falsely accused the IGP of making almost half of the mobile commanders in the country the people of his Nupe extraction. Meanwhile, the AGF office had also on October 10 filed separate set of charges against Misau before the Federal High Court in Abuja.